The cable television industry is facing enormous changes in the telecommunications and broadcasting markets and in the technological landscape as well. Since older networks are getting overloaded, it is becoming difficult for cable TV broadcasters to deliver high quality and high definition content. Therefore, the cable TV broadcasters and multi-channel video administrators want to focus on delivering good content to consumers and reduce manual errors rather than focusing on the technical management. 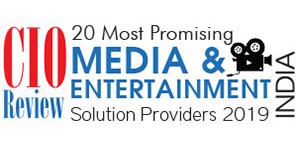 Hence, they are looking for solution providers who would help them in achieving this with a reliable, flexible and cost-effective entertainment broadcast automation solution. Catering to these needs, Hyderabad headquartered Logosys with its complete Entertainment Broadcast Automation software Logosys Playout, not only enables television broadcasters to launch channels cost-effectively but also reduces manual errors by enabling playout automation. This fully automated cloud-based system is designed to function 24/7 without manual intervention, thus resulting in low cost operations and also providing greater reliability and flexibility. understand the technology and also provides innovative and best in class products to them. The company handles the technical functionalities so that the clients can focus on their business processes. Logosys Playout supports SDI and HD output with Blackmagic’s DeckLink boards and unlimited Graphics Overlay with high quality Adobe Flash, Targa (*.tga), PNG (Quicktime) Sequences, JPEG and Bitmap formats. It includes features such as Time Based movie scheduling, Commercial Insertion Overlay Advertisement, Movie Trailers Scroll, Sponsor Logo etc. "Logosys is one of the major software providers for the OTT and holds more than 450 channels. 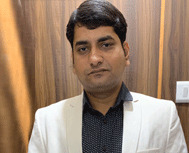 We also provide India's most advanced software for News channel playout and graphics overlay automation," says Ashwin Kumar, MD, Logosys Software Solutions. Logosys aids in implementing the most common use cases of the video world such as playout, ingest, time shifting and vision mixing. The Logosys Playout software stacks multiple media freely and reorders them on the fly. It grabs input videos and overlays graphics and videos and supports multiple video cards in single server. It also generates alpha channel from a separate file of any type and has built-in video effects (DVE). Logosys Playout supports all video formats and has audio option that includes SDI (Serial Digital Interface) embedding. By implementing the multi-threading execution model, Logosys Playout Server helps in performing multiple tasks at single time, enabling higher performance. Logosys plans to expand its operations exponentially across the globe. The company has market penetration in countries such as Nepal and South Africa. Logosys builds systematic close working relationships with its clients. TV5 - one of India's 24 hour Telugu language news channel, Mana TV Vidya, Mana TV Nipuna channels of T-SAT (the satellite TV network operated by Society for Telangana State Network) and TV5 Money ­ the first Telugu Indian Business and Lifestyle channel are the clients of Logosys.